At the 2014 Shell and Pennzoil Grand Prix of Houston this template was thrown out of the window save the points garnered for the season’s championship race. The two race weekend highlighted everything that is great about American open-wheel racing and did this under all weather conditions. Rookies, relatives, and relocation drivers were the stars while drivers of the so-called super teams of Penske, Ganassi, and Andretti were pushed aside (figuratively and literally) of the limelight at race’s end of Race 1/Round 9 on Saturday and Race 2/Round 10 on Sunday to deliver the most entertaining weekend of any racing series, in this world, in recent memory. When it came to race time, rain had Race Control declare a Wet Start … and soon after the Dallara DW12’s roll out on the improved temporary parking lot/street track to warm-up for the planned standing start, the race was further declared a timed event at one-hour and fifty minutes (1:50.000). 1. I thought I was more likely to win an IndyCar race this season than Carlos Huertas. Nine races and he is an IndyCar winner. A guy who’s lone victory in Formula Renault 3.5 came in a monsoon. A guy who was rumored to be the sugar daddy savior for Panther Racing over the winter and now he was more wins this season than the four Ganassi drivers combined. It may takes me six months to wrap my head around this victory. 5. Justin Wilson finished tenth (at least I think he will after Graham Rahal and Ryan Briscoe are assessed their penalties) and did 46 laps on one stint. Huertas did 39 laps to make it to the checkered flag. I don’t know what Dale Coyne Racing did to their cars over the break but it appears to have worked. Great job by the whole team. 6. This was a day that appeared to be one where Castroneves, Hunter-Reay and Simon Pagenaud could catch up on Will Power as he started eighteenth and was a non-factor all day before sliding into the tires, ending his run of completing every lap in 2014. 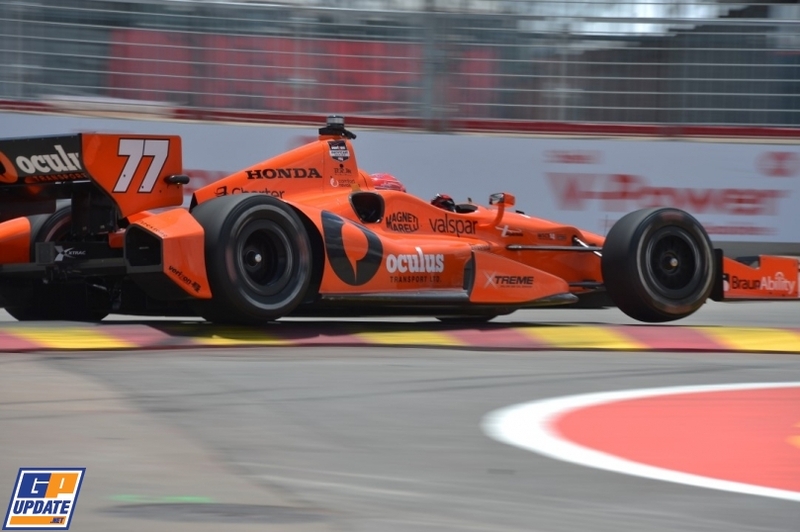 But, with the likes of Pagenaud, Mike Conway, Charlie Kimball, Scott Dixon, Luca Filippi and Takuma Sato having problems, Power finished fourteenth and only lost six points over Castroneves in the standings. Things are falling Power’s way in 2014. 8. Tomorrow’s race will be nothing like today’s but what a race it was. My jaw is still on the floor. Everyone get some rest, rehydrate and we will dance again tomorrow. By the way, there are no Dutch, Mexican, Costa Rican or Greek drivers in the race, so no IndyCar/World Cup double like today. Caution flag is out due to a spin and stall after catching a puddle by Will Power – Time Remaining in Race: 27:080. Power was the only driver to complete every lap in 8 races but with this spin, no more drivers will have “perfect attendance” in 2014. With 11 minutes remaining, an Englishman (Justin Wilson) was being chased by four angry Colombians – Huertas, JPM, Kanaan and Munoz! Note – Justin Wilson had to pit on Lap 74 for fuel … so much for anger. Car 8 – Ganassi’s Ryan Briscoe and 15 – Rahal Letterman Lanigan’s Graham Rahal received 30-second penalties for avoidable contact with Josef Newgarden and Tony Kanaan respectively. On Sunday, in a two session of Group A and Group B qualifications process where the drivers go out on track and pray for at least one clear lap in a few short minutes – about enough time for three laps after one out-lap – times posted are fanned into each other, every other position, starting from the fastest time from the group that this time was posted. Example: Say Group B had the fastest overall time, so, P1=B, P2=A, P3=next fastest B, P4=next fastest A … and so on, and so on. Penske Racing’s Helio Castroneves gained a point by winning the pole for today’s race (3:45 p.m., NBCSN). Castroneves gained only six points on Power on Saturday when he finished ninth as Power finished 14th. The pole is the 40th of the Brazilian’s career, tying him with Penske Racing’s team manager Rick Mears as being only five drivers to achieve or surpass this mark on IndyCar’s all-time list. 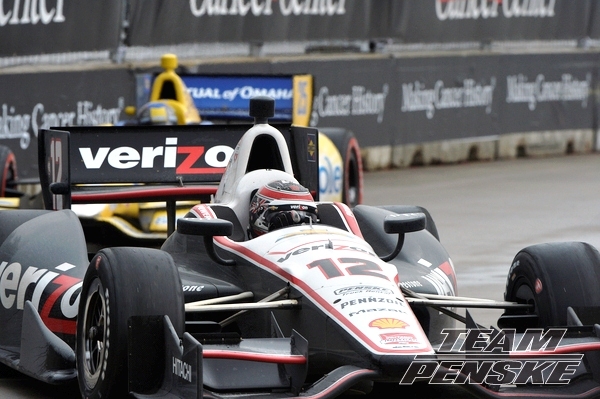 Penske Racing team-mate Will Power, again qualified poorly and ended up with the same starting position as Race 1 – P18. His lead over Castroneves at the season’s halfway point is 32 points. 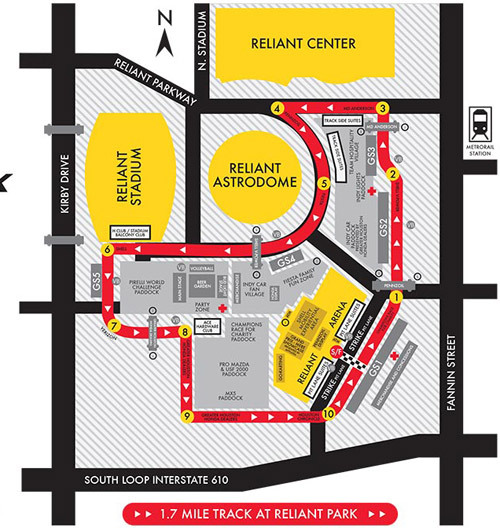 In this 90-lap race, run in hot and humid conditions at Houston’s NRG Park, Helio Castroneves from Team Penske started on the pole and led 47 of the first 48 laps, but Pagenaud overtook Castroneves for the top spot on lap 49. Pagenaud had led one circuit earlier during a round of green-flag pit stops. Power started 18th for the second day in a row but had moved up to third before he sustained a broken rear suspension in the closing laps. He limped across the line in 11th. Power’s point advantage over Castroneves is now 39, the same margin between the two entering the Houston doubleheader. Pagenaud went on to lead the final 42 laps and crossed the finish line 7.2622 seconds ahead of Aleshin. The Frenchman scored his first win of the season in the May 10 inaugural Grand Prix of Indianapolis, held on Indianapolis Motor Speedway’s road course. In Saturday’s rain-soaked Race 1 in Houston, Pagenaud started on the pole but ended up finishing six laps behind in 16th after he struggled with brake issues in the early going and then was involved in a multi-car crash during the mid-stages. Aleshin’s race on Saturday ended on lap 33 when he made contact with Takuma Sato and crashed into the turn 6 barrier. The Russian finished last in the 23- car field. 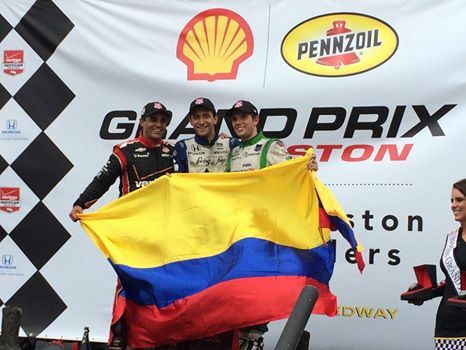 Schmidt Peterson Hamilton Motorsports claimed its first ever 1-2 finish in the IndyCar Series in Sunday’s Race 2 of the Shell and Pennzoil Grand Prix of Houston weekend doubleheader. As stated before … probably the best and most entertaining weekend of any racing series, in this world, in recent memory.